BIM teaching technologies is going through a very interesting moment in its development. Various teaching methodologies have been used for implementation in universities. 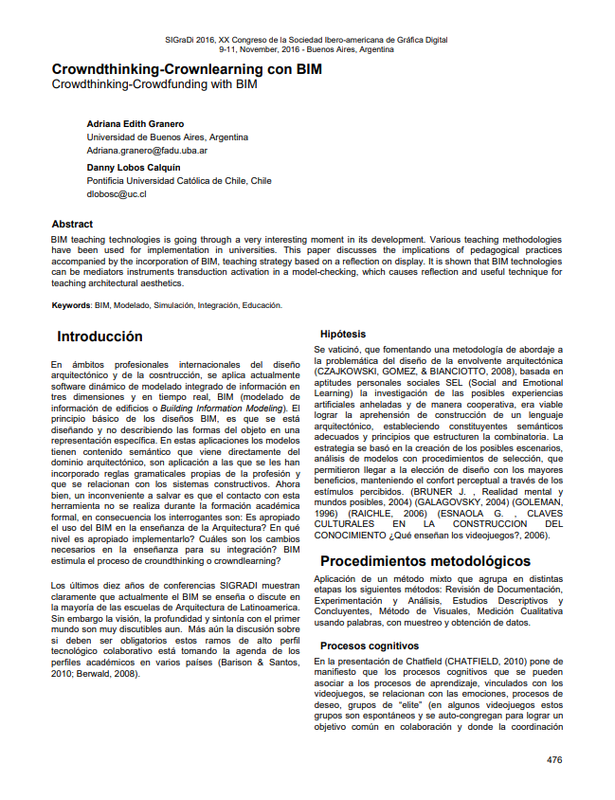 This paper discusses the implications of pedagogical practices accompanied by the incorporation of BIM, teaching strategy based on a reflection on display. It is shown that BIM technologies can be mediators instruments transduction activation in a model-checking, which causes reflection and useful technique for teaching architectural aesthetics.